Updates and offers, sent straight to your inbox! Just 5 painless days to a clean desk! Sign up to get your free guide. Write more each day! It’s common to hear people say that they’ll work on their writing “when I get more time.” The trouble is, time doesn’t offer much mercy–just wisdom. It doesn’t slow down and it only ticks one way: forward! When fledgling writers finally get more time, in retirement or in other more flexible seasons, it can feel like they left their best ideas and opportunities behind them. Is it true that old dogs can’t learn new ticks? No. In fact, the most interesting people are life-long learners, aren’t they? In his must-read book, Steal Like an Artist, Austin Kleon reminds us that the word ‘amateur’ comes from the same root word as ‘lover’. Write for the love of it. You can be passionate at any age. Plus, you’ve had a lot of experiences that will flavor your writing with richness. You’ve also overcome plenty of challenges in your life, so you know you can overcome this one, too. Click here to get free access to the writer's resource library! Some writers feel like they have to earn their chops before they have a right to share their stories. There’s an idea that an author has to live a certain amount of life, contrary to the conflicting ideas mentioned above, in order to share their experiences. But the truth is, we can all learn from one another! Everyone has a story to tell and to share, no matter how old (or young). I love the famous passage in the Bible from Paul’s letter to Timothy, where Paul advises, “Despise not thy youth.” Don’t hate the stage of life you’re in, since life is made up of days. Make the best of this day, and write. I’m currently reading ‘Stand Beautiful’ by Chloe Howard, an eighteen year-old-author. She wrote the book with the help of a co-author, Margot Starbuck, after delivering a wildly popular TedTalk. Despite her tender years, this young author has a powerful truth to tell. Can you think of other authors who defied the paradigm and published books at a young age? If they did it, so can you. In case you don’t know how I feel about this, click on over to my post, Why You Should Start When You Think You’re Not Ready. You’ll never feel qualified, ready, or polished. And you will mess up. The sooner you get started on messing up, the better. One of the things that strikes me when working with teens and their schoolwork, is how often I say, “Show me where you’re stuck,” and they point to a pristine page of math problems. No pencil marks, no eraser marks. Just clean paper. When I ask if they tried it, they confess that, “…it looked hard,” and that they didn’t have the confidence to try. Ya’ll? That’s sad. Let your friends and family see you mess up, fix it, and move on. They need to see someone brave take a chance on a dream, and maybe they’ll have confidence to go for it, too. Go to Amazon and search for books about soil quality. Then look for books about fungus. Then search for books about mathematics and pedagogy. If people are buying books on these topics, don’t you think there’s a chance *someone* would be willing to read a piece you wrote? About anything? It’s true–your story’s probably been told before by many others. But it hasn’t been told by you, and you’re a unique creature. Besides, people like the same story over and over. (Hero’s Journey, anyone?) Add your voice to the song. Writing is hard, and many of us struggle with organization and commitment to long projects. It’s easy to believe that voice inside that tells you that you’ll never finish your dream project, or the well-meaning friend who chuckles when you proclaim a new mission. But don’t live your life according to other people’s beliefs. That’s the biggest risk of all. Would you rather have regret that you tried it and discovered you didn’t like it, or that you were too afraid to give it a chance? Ask yourself the question and listen for the answer…and maybe write a story about it. Then let someone read it. That’s a start. NOW YOU: Have you ever let one of these myths hold you back? How did you decide to do it scared, and move forward? Click here to get your goal-setting worksheets! Want to remember this article? Click to save it to your favorite Pinterest board! **This post contains affiliate links. Great post, Cole! And look at all those shares!!! 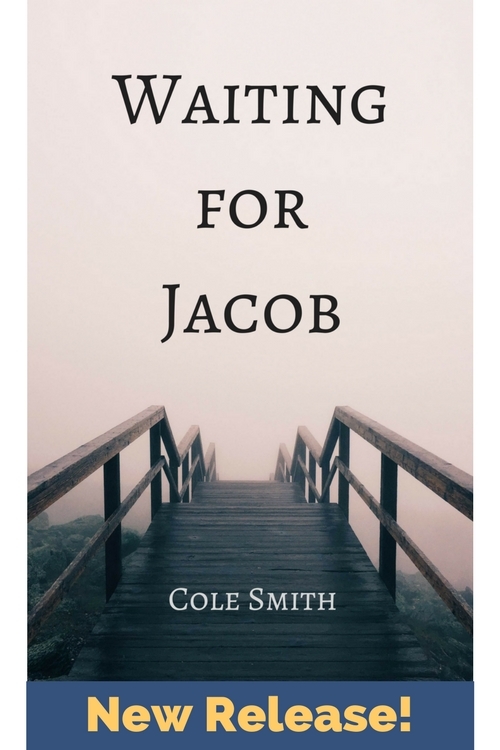 Get free, Instant Access to the Cole Smith Resource LibrarySign Me Up!